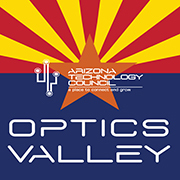 Optics is a very important enabling technology for Arizona, generating over $3B in economic impact each year. The UA Tech Park is one of the key locations for technology companies in the state. Come and see some of the unique optical research and applications from Tech Parks tenants. 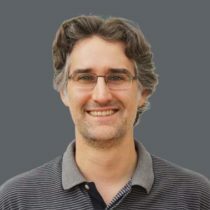 Dr. Arturo Chavez-Pirson is NP Photonics’ Chief Technology Officer (CTO) and is also a Research Professor in the College of Optical Sciences at the University of Arizona. Arturo has over 25 years of academic and commercial experience including R&D leadership, product engineering, transfer to manufacturing, market development, customer relations, and senior management. His expertise is in fiber-based and solid-state lasers and amplifiers, optical physics in semiconductors, fiber optic microscopy and spectroscopy, and ultrafast phenomena in materials. Prior to joining NP Photonics in December 2000, Arturo was a senior research scientist in the Basic Research Laboratories of Nippon Telegraph and Telephone (NTT) Corporation in Japan. At NTT, he directed R&D programs covering optoelectronic phenomena and devices for telecommunications applications. Mary Darling is the CEO of Darling Geomatics, a high tech 3D surveying company headquartered in Tucson, at the U of A Tech Park. Mary has her law degree as well as a Master of Science degree in Biology. 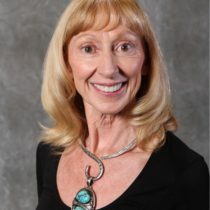 Mary is accountable for the operations, business development, strategy, financing, human resources, public relations and creation of a cutting edge company culture at her company. Mary not only provides executive management as the CEO of Darling Geomatics. She is also hands on with the high tech aspects to the company. Mary can operate a 3D scanner to measure and model buildings and topography, she is an FAA licensed commercial drone pilot and she travels across the country and internationally to help implement a wide variety of high tech projects. Rodger Shepherd has been involved in the sales and marketing of industrial products and services since the early 1980’s. For several years he represented the entire ITT Fluid Technologies product line to the commercial and industrial markets in central Ohio. In the early 1990’s Rodger owned and operated an industrial sensor company serving the nuclear and high temperature process industries. In 1994 joined Cleveland Electric Laboratories (CEL) as a Senior Sales Representative. 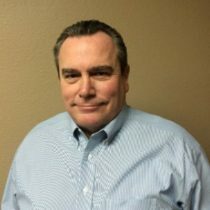 In 2000 he became the National Sales Manager for CEL and continued to work with many large organizations including GE Energy, GE Aviation, Rolls-Royce, Honeywell, Solar Turbines and others. In 2004 Rodger was directly involved in forming the company’s Advanced Technologies Group in Tempe, AZ, where he has served as the Vice President of Advanced Technologies since 2007. Responsibilities include management of Engineering, Production and our multi-million dollar Research & Development efforts. Dr. Paul Spyak is the Electro-Optical Subsystems Chief Technologist for Raytheon Missile Systems (RMS). 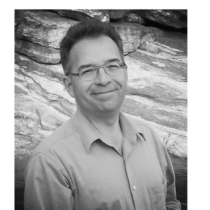 Paul is also an engineering fellow and department manager for EO Products and Technologies. His 27 years of experience span EO subsystems analysis and engineering, radiometric calibration and analysis, stray light analysis and measurement, contamination control, contamination impact on EO sensors, and radiometric instrument design and fabrication. Early in his career, he was a research scientist and assistant professor at the University of Arizona’s Optical Sciences Center and was a member of NASA’s Earth Observing System Science Team. Paul earned his bachelor’s degree in physics and mathematics from Cleveland State University and his doctorate in optical sciences from the University of Arizona. 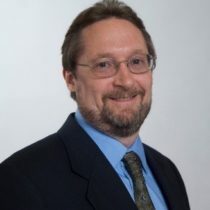 He has more than 30 publications and is a member of the Optical Society of America and SPIE (The Society of Photo-Optical Instrumentation Engineers). Raytheon Missile Systems (RMS) is the world leader in the design, development and production of kinetic systems for critical missions including air-to-air, strike, surface Navy air defense, land combat, guided projectiles, exo-atmospheric kill vehicles, missile defense and directed-energy weapons. RMS is headquartered in Tucson, Arizona with about 13,000 employees operating at sites across the country and internationally. RMS electro-optical (EO) engineers support contracts and research and development efforts in numerous areas including EO architecture, design and analysis, assembly integration and test, test equipment, and modeling and simulation. David graduated from the University of Arizona in 2001 with a B.S. in Optical Engineering. After graduation he joined the University of Rochester, where he worked on working on development the OMEGA EP laser system at the Lab for Laser Energetics and continued graduate studies. In 2011 David joined DILAS and worked on design and build of several diode packages, including light weight fiber pumping modules for the defense industry, and he now serves as Engineering Manager at Coherent|DILAS. Coherent|DILAS is an industry leader in the field of diode lasers and provides high-power diode systems to a large variety of defense, medical, and industrial customers. While it is a small site having approximately 30 employees, the Tucson facility both designs and manufactures laser diode products for many application spaces, with special emphasis on products that are highly customized and technically challenging. In addition to producing several thousand diode packages per year, the Tucson site is heavily engaged in development and drive innovation efforts. In both spaces, DILAS benefits enormously from its position within the larger Coherent family. Please park in Lot 3. Event is in Building 9030. 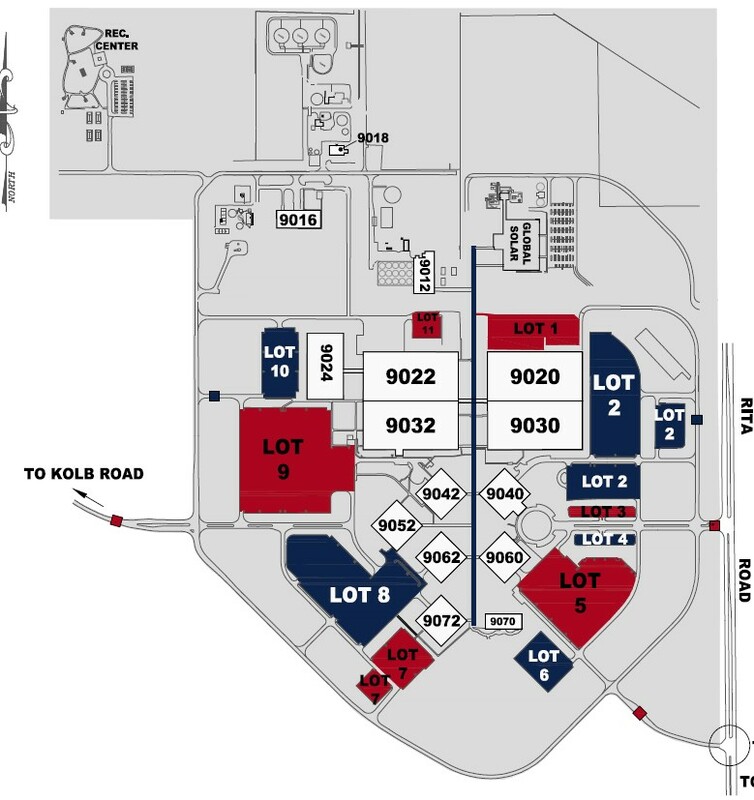 Look for the directional signs and staff who will be on-site to assist guests to find the building entrance.